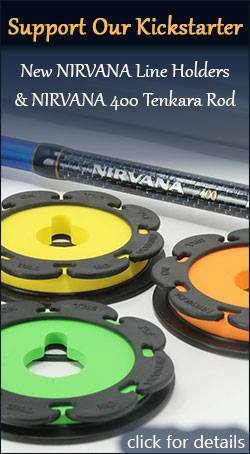 Did you know that when you buy the new level line from Tenkara USA you also get a free line holder? Neither did I (and maybe they don’t either). 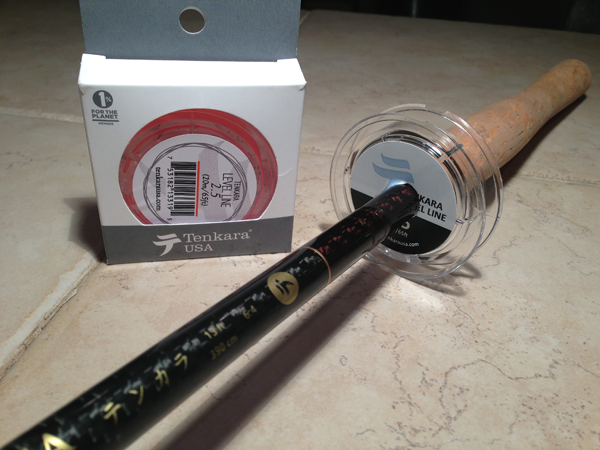 But since they’ve changed their packaging to include a new plastic spool design, I was curious to see if the wider diameter hole in the center of the spool would fit over the blanks of my tenkara rods. And sure enough, it did! 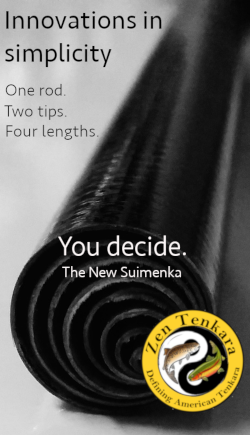 Many people have found great DIY sources for tenkara line spools. But I like this one because I have to buy the line anyway, so I might as well get a little more bang for my buck. Also, it’s a form of upcycling, which I always like to do when possible. 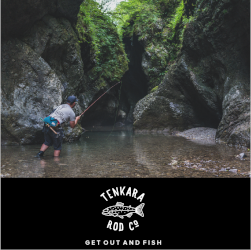 All you have to do is punch through the label and you’ve got yourself a new tenkara spool! 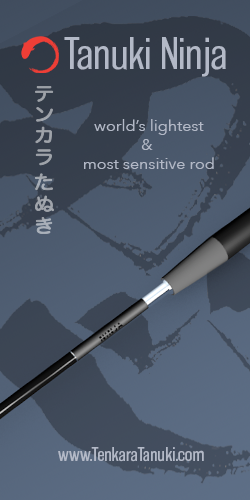 And for what it’s worth, I tested the diameter on both Tenkara USA and non-Tenkara USA rods. All of them fit through the center hole. 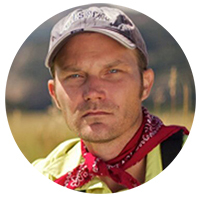 The only drawback I can see is that there isn’t really a good place to secure a fly if you want to stay rigged up. I suppose drilling some small holes around the lip of the spool would solve that but for now, I think I’ll use my empties more for storage and identification than on-stream use (though in my mind, they’re perfectly acceptable). Discovering that these new spools fit onto tenkara rods was a great serendipity for me as I always seem to be running out of storage solutions for my lines and don’t want to keep buying more holders (believe me, I have way too many already). I’m not sure if this design was done on purpose or not but I like it. 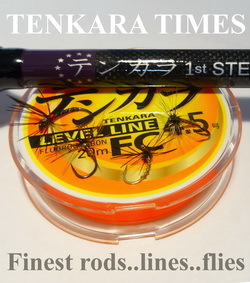 Now, every time I order a new spool of level line from Tenkara USA, I know I’m also getting a “free” line spool thrown in. I spoke with a gentleman last Saturday that suggested slicing off an inch of a pool noodle and carving a “V” on the rim and cutting a hole in the center for a line holder. I’ve been using these spools since the yellow line came on them . 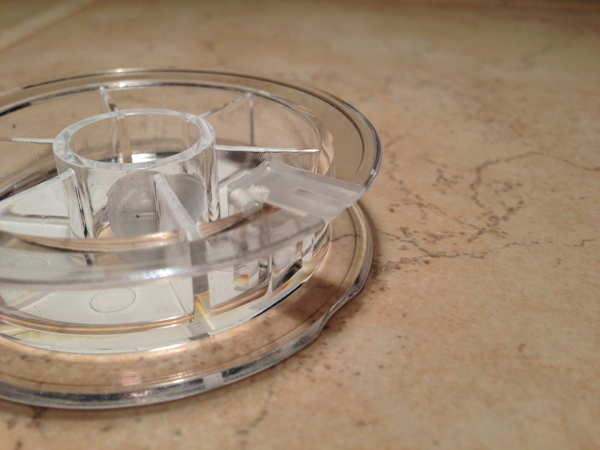 Drill a hole in the central hub in line with the v-clip . 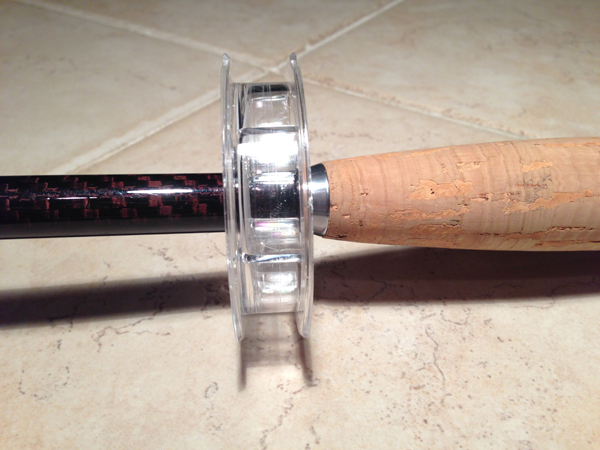 Hook goes in the hole tippet in the clip and wrap your line. I use those elastic hair bands to secure the line to the spool . They are more “stretchy” than rubber bands and go on and off easier. Just be careful with these. I have shattered one by accidentally dropping it on a hardwood floor. The plastic is brittle. I don’t think the company that manufactures the plastic spools ever imagined them being used in the field. Nice idea Jason, you could cut a strip of 2mm craft foam and glue it to the inside of the spool giving you somewhere to hook your fly and a softer surface to wrap your line around.